Reason: My goal is to make 6 baby quilts for the Pregnancy Care Centre in January. 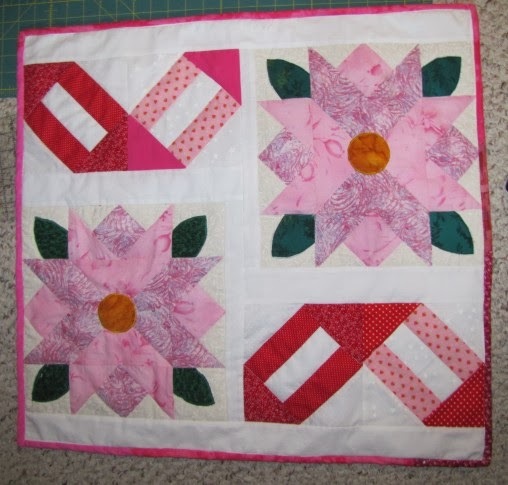 Fabrics: Grandma has given me a lot of blocks. More than 200. Here are six of them. Thoughts: This is my favourite of the six.